Mr. Hauptman has devoted his career to the practice of construction law. Prior to becoming a partner at Angius & Terry, Mr. Hauptman was a partner at another prestigious construction defect law firm for almost 15 years. At his prior firm, Mr. Hauptman amassed extensive experience in both the prosecution and defense of large, complex construction claims. He also developed a proficiency in resolving complicated insurance disputes and prosecuted numerous cases against insurance companies directly for the recovery of unpaid benefits and bad faith damages. At Angius & Terry, Mr. Hauptman now exclusively represents community associations seeking justice for their construction defect claims. His unique legal experience on both sides of complex construction defect cases enables him to quickly and efficiently resolve such claims. And as a result of his versatility and training, Mr. Hauptman has been able to recover tens of millions of dollars for the defective construction of his clients’ homes. Mr. Hauptman is licensed to practice law in Florida, California and New York. 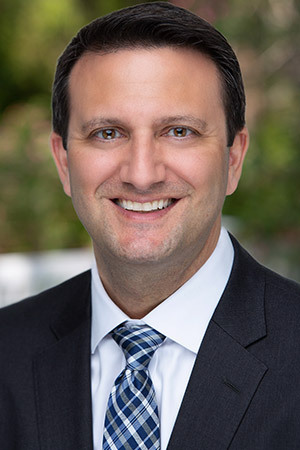 He performed his undergraduate studies at Duke University and received his law degree, with honors, from the University of Miami School of Law, where he was also a member of the University of Miami Law Review.